It’s the day before Easter 2016, here at Ft. Wilderness! 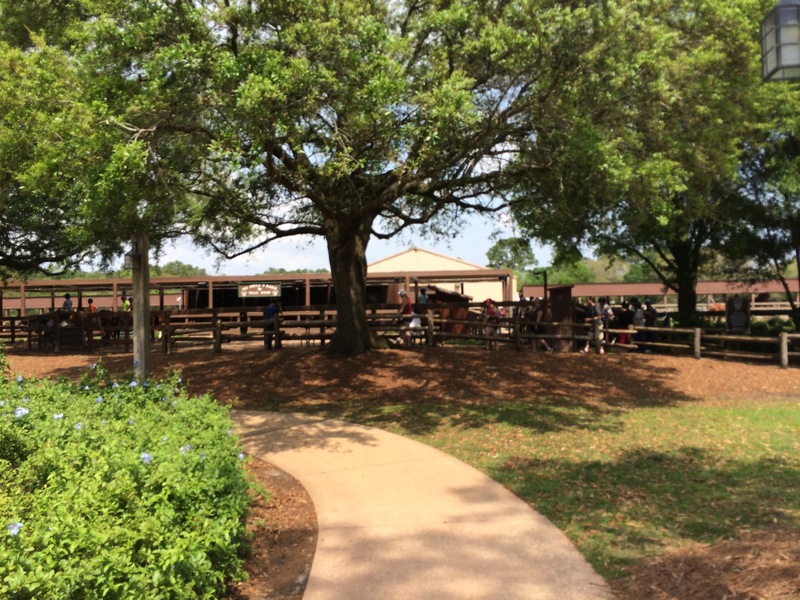 Let’s mosey over for a visit to Tri Circle D Ranch! 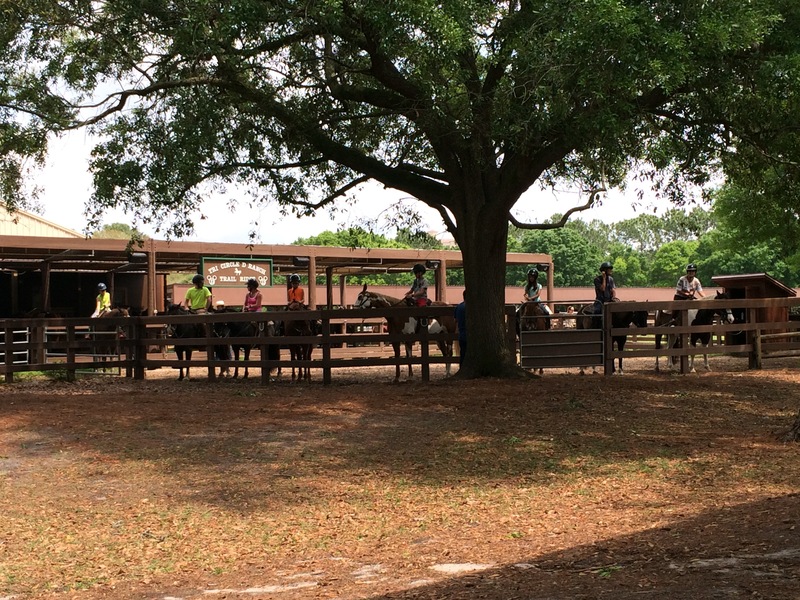 I’ve never been here right before the trail riding tour. It’s neat to see everyone all lined up and ready for an adventure! Disney board games to pass the time out here in the wilderness! 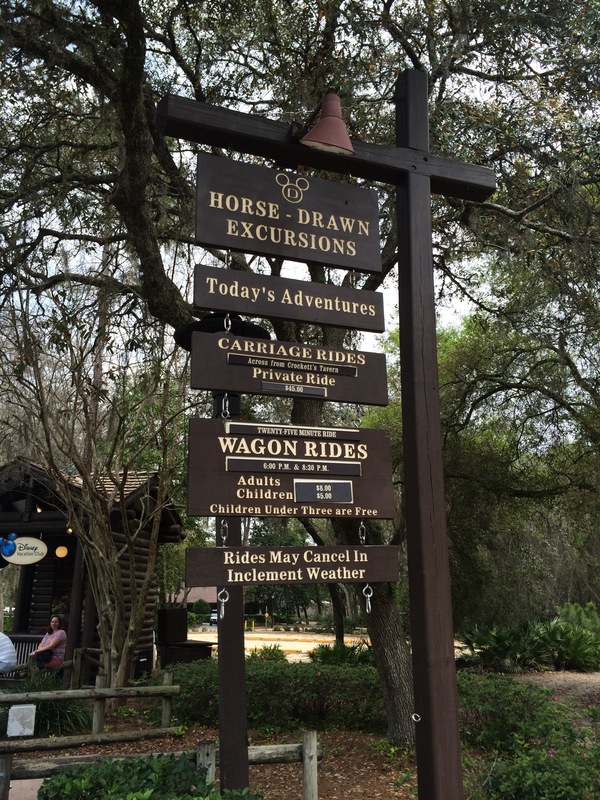 Tomorrow I’ll have a few photos for you from the Hoop-Dee-Doo Review – so y’all come back now… ya hear?! (LAKE BUENA VISTA, FL; January 6, 2015) – Italian countryside concept, Portobello Restaurant (1650 Buena Vista Dr.) in Disney Springs offers an extravagant prix-fixe dinner for sweethearts and that special someone this Valentine’s Day on Sunday, February 14. The prix-fixe menu at Portobello Restaurant is $95.00 per couple and reservations can be made by calling 407.934.8888. For additional information please visit www.portobellorestaurant.com. Located in the heart of Downtown Disney at 1650 Buena Vista Drive in Lake Buena Vista, Florida,Portobello Country Italian Trattoria presents guests with a classic osteria experience celebrating the simple flavors of Italy. Crusty breads, sun-ripened tomatoes, imported Prosciutto di Parma, freshly caught fish, fruity olive oil, and pungent cheese set the stage for the warm, family-friendly atmosphere of the restaurant. Portobello is open for lunch daily from 11:30 a.m. to 4:00 p.m. and for dinner daily from 4:00 to 11:00 p.m. For more information visit www.portobellorestaurant.com or call 407.934.8888and follow Portobello on Twitter, Facebook and Instagram. Watch the Moana clip here! When Walt Disney conceptualized Walt Disney World, he didn’t just mean to create a place where everyone could enjoy the sights and sounds of all their favorite Disney stories and meet their favorite characters; he also meant to create an “Experimental Prototype Community of Tomorrow”, which would serve as a test bed for innovations in city living. The “Florida Project,” as he called it, has evolved to become one of the most iconic places on the planet, and to this day, and while it didn’t quite reach the state of futurism Walt had intended, it is still the benchmark through which all other Disney theme parks are measured. 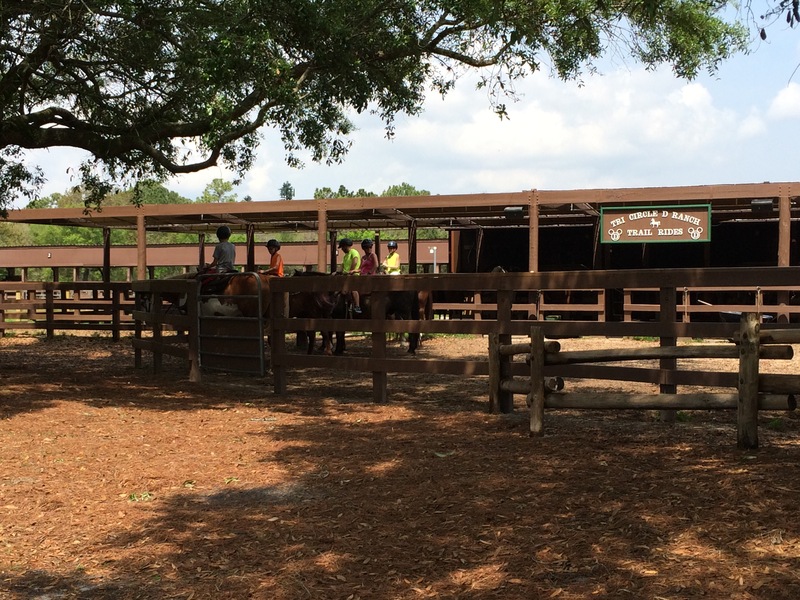 Of course, Disney World had the advantage of size – thousands of acres of swampland ready for development. The same amount of space isn’t always readily available, but Disney has found a way to show that you don’t really need that much space to be able to create a magical place. 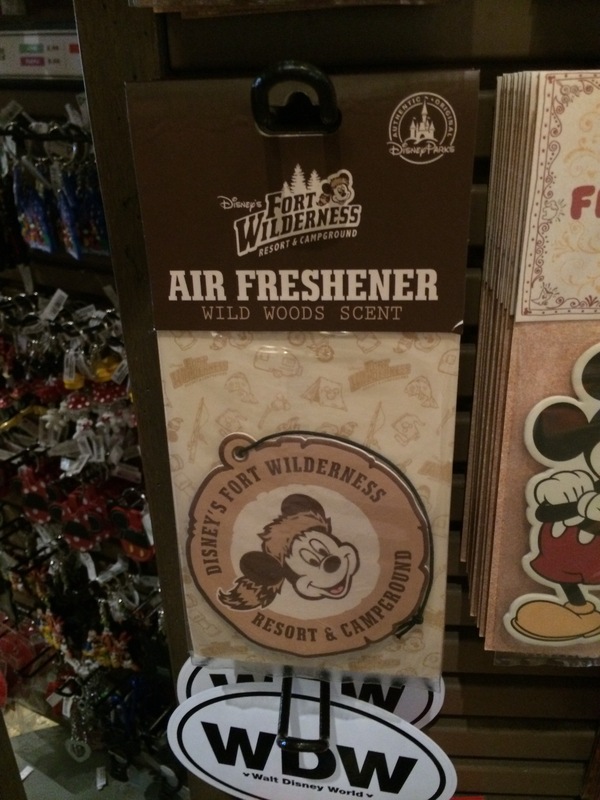 The perfect example of this can be found no further than London’s own Disney Store on Oxford Street. In the same way that nearby Mayfair is known for its exclusivity and high-end shopping and casinos, Oxford Street has garnered a reputation as the busiest shopping street in all of Europe, seeing over half a million visitors a day. Oxford regularly has trade fairs and workshops for children, as well as classes for adults, and it is undeniably one of the places you absolutely must visit should you find yourself in London’s West End. Right in the middle of all the hustle and bustle, a 267 foot high Princess Castle looms above the crowd, as the glittering lights of the store shine from behind its glass front. Princesses make appearances in the windows as Mickey and Donald sentries stand guard outside, and everyone is treated to the occasionalappearance of Tinkerbell as she zips about the room. 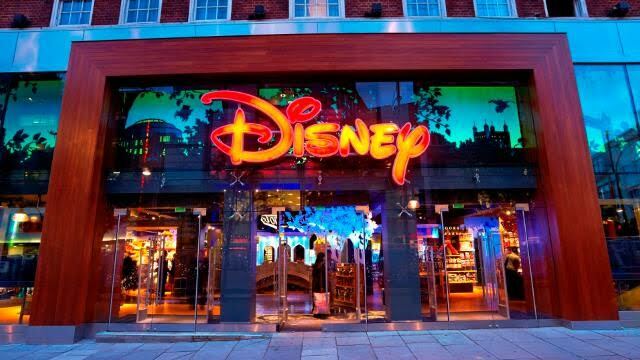 Step in through the glass doors and you will find yourself transported into a whole new world, as this Disney Store has just undergone a revamp, and it now sports the latest merchandise in every Disney franchise. Be it a movie or a television show, animated or live action, you’ll find all you could ever want in the fun and funky shelves in the store. 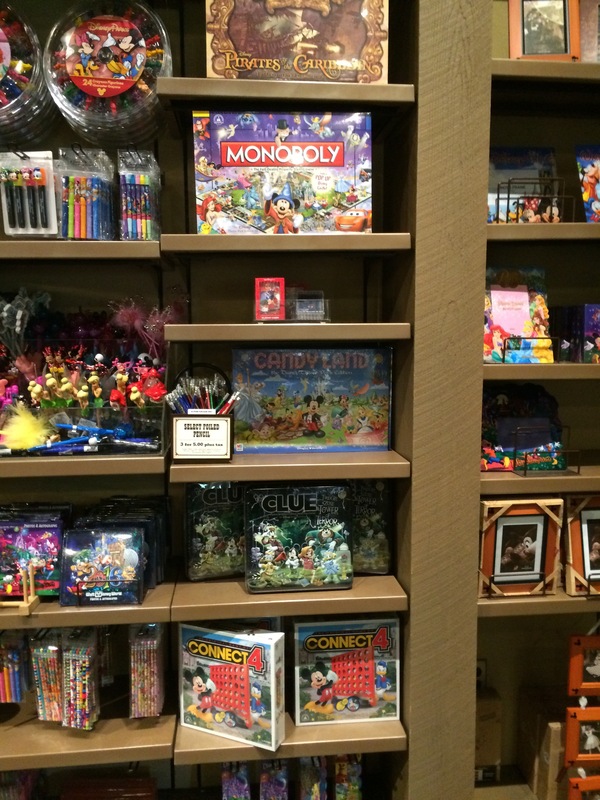 Just like Disney World, the store often holds events in time for some special occasions, and although there are none scheduled in the near future, anyone who enters the store is sure to have fun as their favorite Disney characters come to life. Don’t believe us? Just check out all the fun everyone is having in their online gallery! 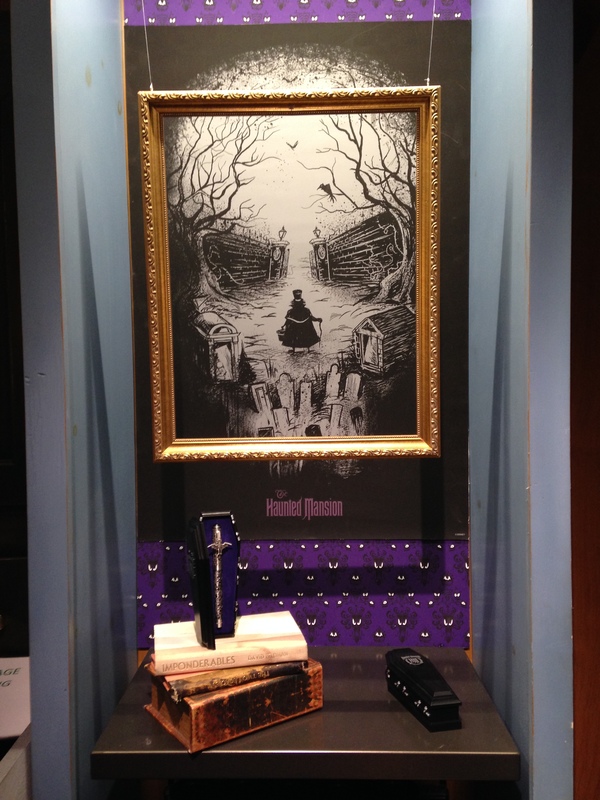 Those of you that have read my blog posts in the past certainly know my affection for Disney’s Haunted Mansion in Magic Kingdom. I get asked what my favorite ride at Walt Disney World is all the time, and without hesitation, I happily answer, “Haunted Mansion”. My family and I have gotten to the point that we know which wall panel of the stretching room will slide open and head directly to it, and can talk right along with “Your Ghost Host” while he is reciting his monologue. Yeah, I’m that much in love with the ride. With each visit to Magic Kingdom, I would hunt out the latest Haunted Mansion items for sale in the shops and carts, hoping for something other than a HM key chain or t-shirt to purchase. 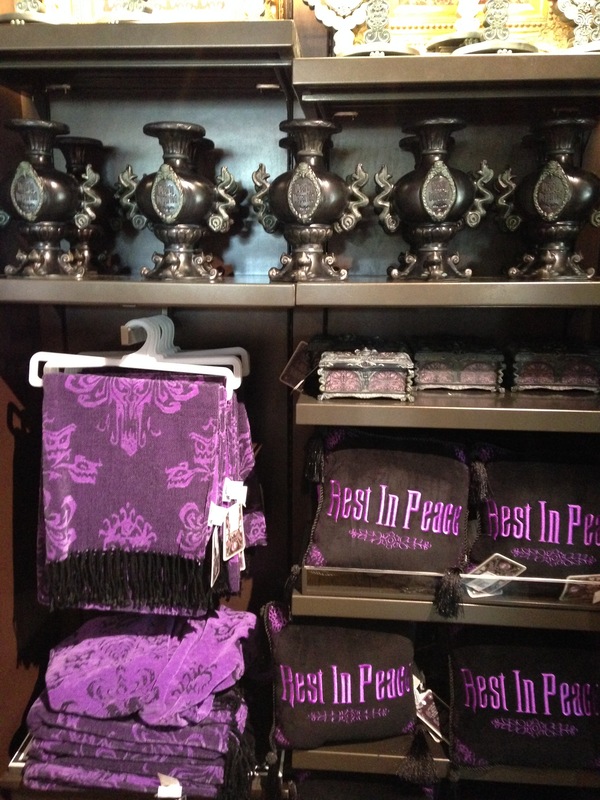 Fast forward to the opening of Memento Mori- Disney’s Haunted Mansion store in Liberty Square. 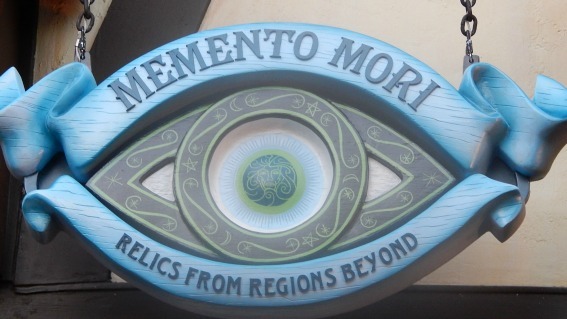 From the Latin phrase Memento mori (remember death), the Magic Kingdom store was bound to not only have every item that I’ve dreamt of owning, but a sense of humor just like my beloved ride. I, along with my family, was one of those folks happy to queue up outside the storefront in Liberty Square waiting my turn to purchase goodies covered with spooky-eyed wallpaper and adorned with candlestick-holding gargoyles. Giddy with delight, my family and I headed into the shop, and just like a kid in a candy shop, could not decide what to purchase first. What’s “In Store” for You? 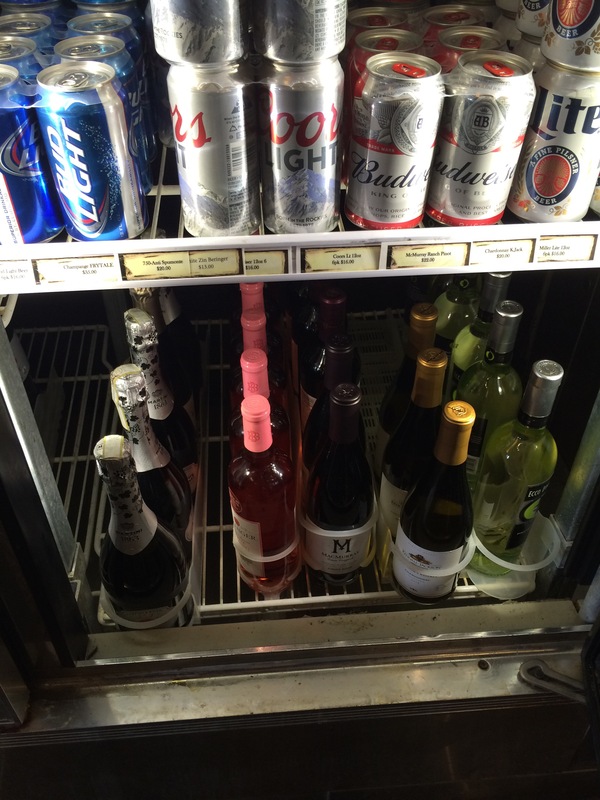 What’s in store for happy shoppers, you ask? 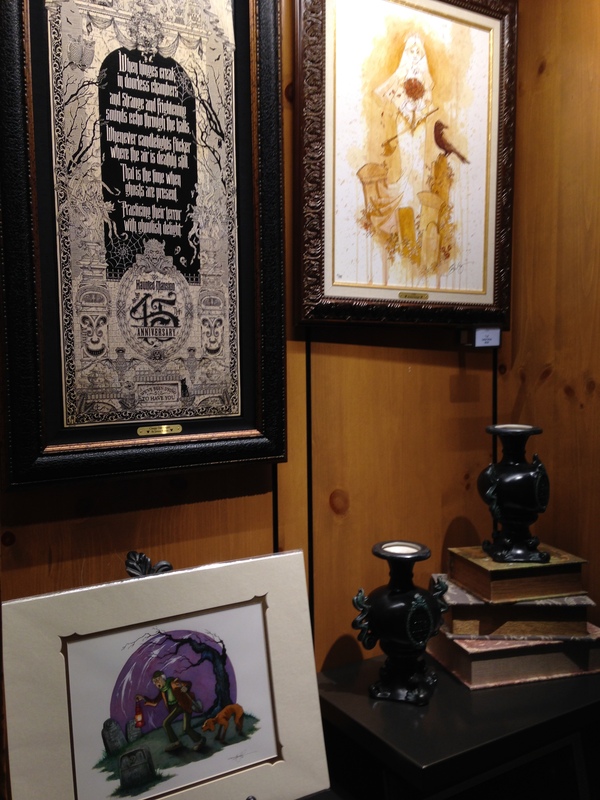 So many spooky, kooky, creative, and downright awesome Haunted Mansion items that you’ll be hard-pressed to choose a favorite! 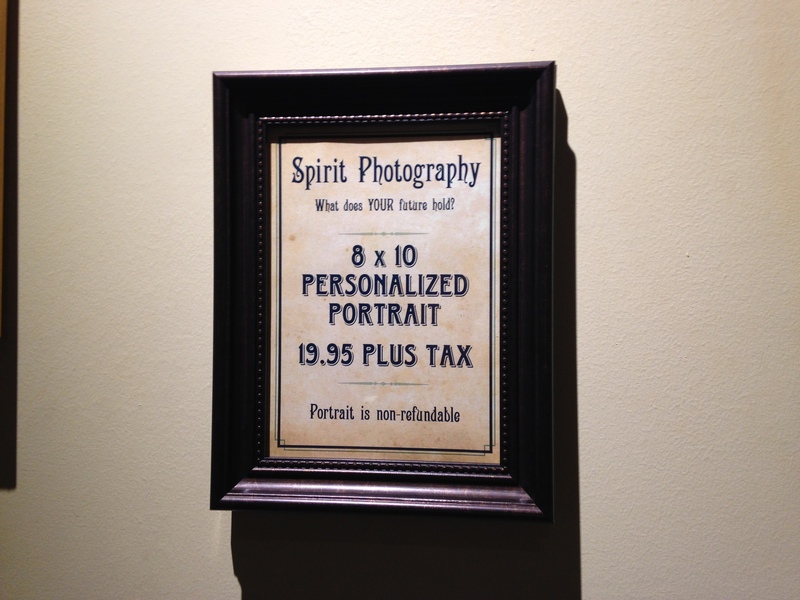 When you walk through the store entrance, you’ll notice a cool photography room where you can get “ghostified”, as my daughter calls it. Just like the famous paintings in the ride, the photo will look normal from one angle and creepy from another. Well worth the $20 if you ask me. There’s tons of fun items to take home, like well-made pens, fedoras, and of course, t-shirts. 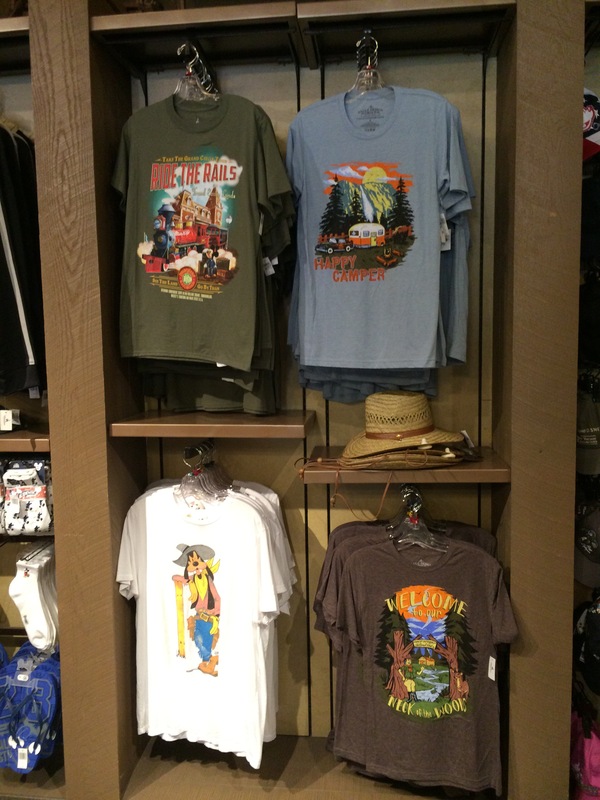 Make sure to mosey around the store, as there’s some really cool details along the walls. 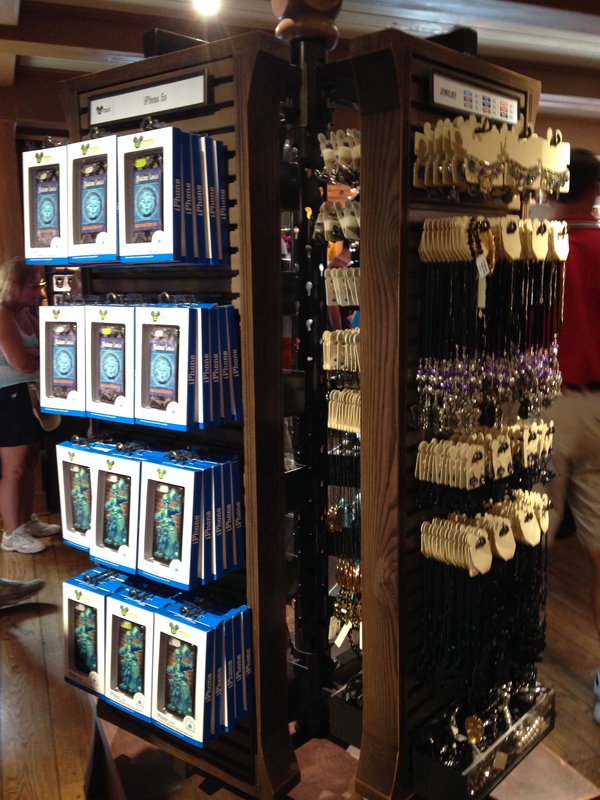 Haunted Mansion phone cases, necklaces, and other themed jewelry as far as the eye can see! Want a Haunted Mansion hair accessory? Look no further. 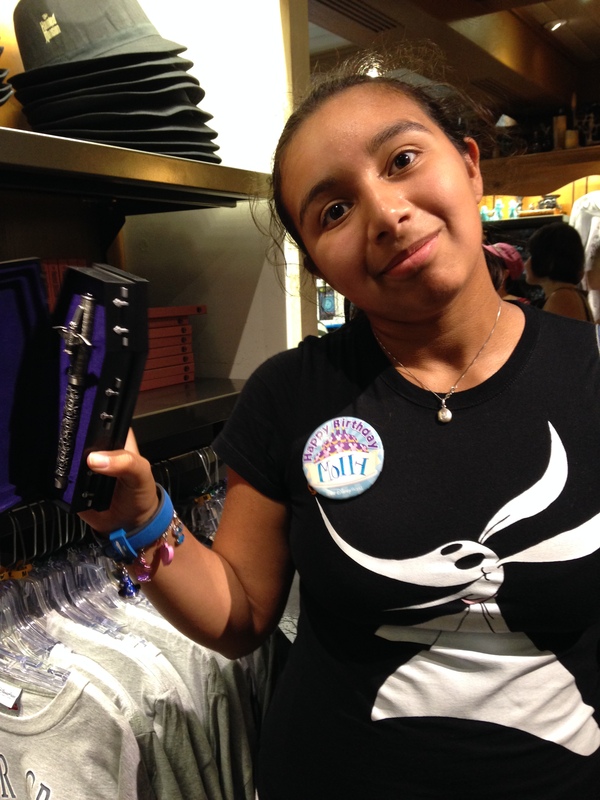 There’s really cute headbands with the bat stanchions from the ride queue available for your wearing pleasure. 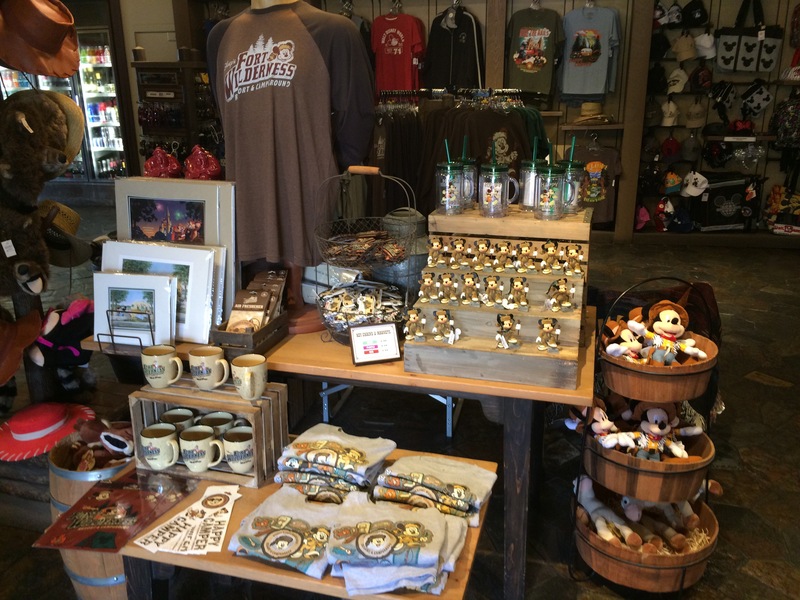 Here’s the part of the store that was the most fun for me- the kitchen/table ware area. 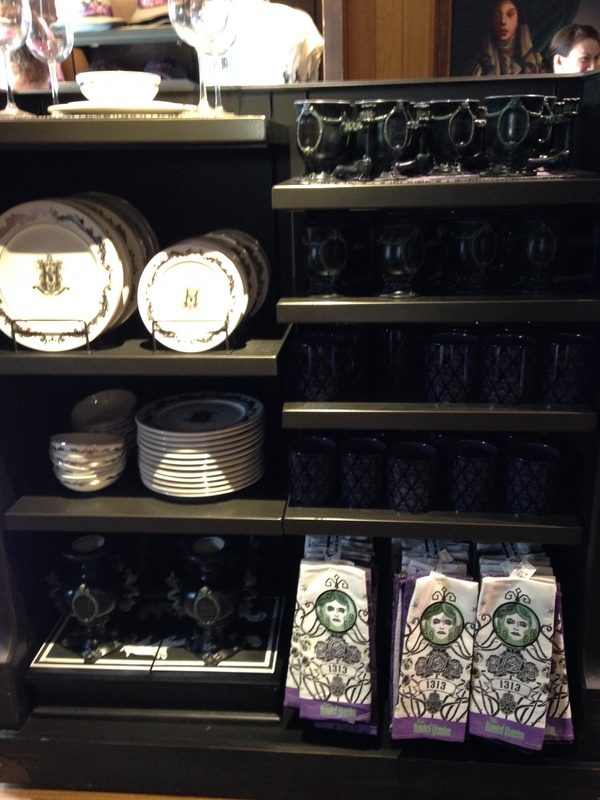 There’s Master Gracy china, Madame Leota towels, HM aprons, cups, glasses, and candlesticks for your table. Looking for a way to spruce up your living room & bedroom? There’s throws and pillows that would make a fine addition to the room. I did notice an absence of one important item: the doombuggy! I’ll put that on my list for Santa this year. Karyn Locke, Marketing and Social Media Guroo and Mid-America Guroo for trekaroo is a travel writer from Ohio that has a passion for all things Disney and a hankering for Dole Whip Floats at least three times a week. Also creator and blogger for Sand and Snow…and everywhere in between!, she’s happy to give Disney tips to anyone that asks and is pleased as punch that her family shares her love of the most magical place on earth. After an 8 month hiatus, the only late night Disney talk show, “See Ya’ Real Late” with Tom Corless, will return for one special episode on Friday November 29th at 11pm EST. Game shows to be played during the event include WDWNT: The Match Game, Where in the World is Tom Corless?, and Disney Don’t Forget the Lyrics. The WDW News Today Podcast will kick-off a new segment counting down the most important moments in the history of Disney’s Hollywood Studios contend down to the 25th anniversary of the park in May. You can be a part by voting for the 25 Biggest Moments in the History of Disney’s Hollywood Studios at this link. Every year since 2008, WDW News Today has hosted a charity drive to raise money for the Toys for Tots Foundation. To date, we have raised over $11,000 for this amazing organization with donations through our website and those made during our annual WDWNT Live! program on Thanksgiving weekend. This year, we will be doing the same with the help of some new sponsors and partners, and we are asking you to be a part of this holiday tradition where we continue Walt Disney’s dream and try to make a difference in the lives of those less fortunate. Over 60 years ago, Walt Disney became one of the original sponsors of the Toys for Tots foundation, which ensures that every underprivileged child receives a toy during the holiday season. Walt and his animators personally designed the original Toys for Tots train logo that is still used today and the first poster created for Toys for Tots. In this spirit, WDW News Today and our many friends and partners are putting on a 25-hour live broadcast this year to raise money for Toys for Tots. We hope you will join us beginning at 8PM ET on November 29, 2013 when the broadcast begins and will help us by making a donation to this great cause at toys.WDWNT.com. We are proud to announce Theme Park Connection as the official sponsor of this year’s show and charity drive. As part of their sponsorship, they are accepting cash donations in-person at their store and providing prizes for all of the many games that will be played during the course of the live program. A portion of our 25-hour broadcast will also be conducted live from their store on Saturday, November 30th, from 9:00AM until 3:00PM EST. Theme Park Connection can be visited online at ThemeParkConnection.com or at their new store location at 2160 Premier Row in Orlando, Florida, near the Florida Mall. The choice to do a 25-hour broadcast this year over 24 was not a coincidence. To commemorate the upcoming WDWCelebrations event “Studio 25″, we are matching every year of Disney’s Hollywood Studios with an hour of live broadcasting. Also, during the course of the show, registration will officially open for this fan event at WDWCelebrations.com. The WDW News Today Podcast will kick-off a new segment counting down the most important moments in the history of Disney’s Hollywood Studios counting down to the 25th anniversary of the park in May. You can be a part by voting for the 25 Biggest Moments in the History of Disney’s Hollywood Studios at this link. The segment will take place at 9PM EST on Friday November 29th. WDWNTunes’ Around the Hub (the show of competitive Disney banter) will also be part of the show, taking place from 6PM-7PM EST on Saturday, November 30th. This entire broadcast will be streamed live on WDWNT.com, accessed by going to the WDWNTunes tab and clicking listen. You can also go directly toWDWNT.com/listen. As well, WDWNTunes streams through several mobile applications available at WDWNT.com/apps. We hope you will join is for this fun show starting on November 29th at 8PM EST and will donate what you can to Toys for Tots through our FirstGiving fundraising page or in-person at the Theme Park Connection store.